After a wild NFL opening weekend, we are ready to see what Week 2 offers with a slew of exciting matchups. I have four sweet sleeper picks to add some value to your DraftKings rosters. 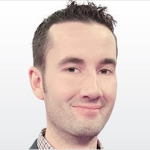 As always, hit me up with any fantasy football questions on Twitter @AndyMc81. Delanie Walker (ankle) being added to the injured reserve and Greg Olsen (foot) being out of commission puts a strain on the tight end position for DraftKings players entering Week 2. Well, there’s one very affordable option who won’t stay a sleeper for long. 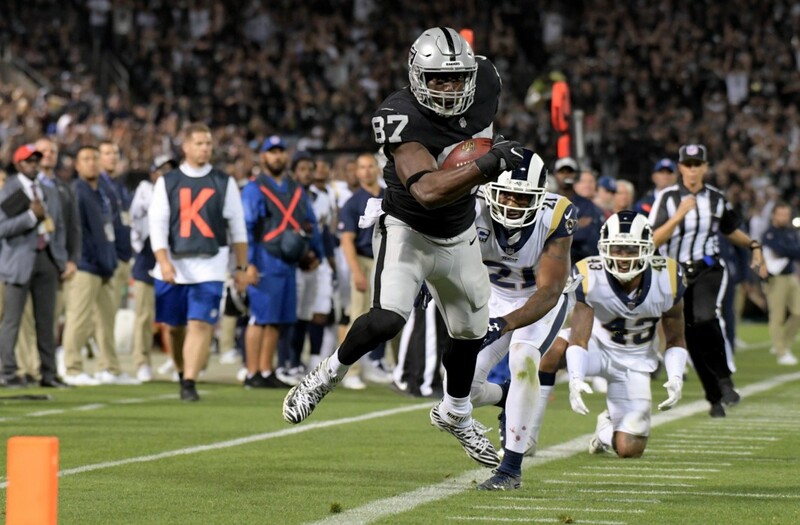 Cook’s 180-yard performance was a ray of sunshine on an otherwise frustrating passing night for the Raiders. It was actually over 26 percent of his total receiving yards from last year! One game does not a season make, but the Derek Carr ($5,500) to Cook connection began in 2017, and this continued chemistry is going to benefit fantasy owners. At the age of 31, this connection with Carr cannot be ignored. Outside of Amari Cooper ($6,600), it’s only the declining Jordy Nelson ($5,000) that challenges Cook for targets. The Raiders face a Denver team that gave up over 100 yards to Seattle’s no-name tight end Will Dissly ($3,300). Plus, with the Broncos’ fierce blitz, Cook always offers a quick dump-off option for Carr. I’m picking up Cook off of waivers in my season-long leagues and definitely for my DK lineup. A collective sigh of relief went out across the fantasy world when Aaron Rodgers ($6,800) returned to the field in the Packers’ opener versus Chicago. The possibility to get re-injured is a risk, but that of course is the beauty of DraftKings daily fantasy — we only care about this week! The departure of Nelson opened an opportunity for Allison, who flashed potential last season and, boy, did he deliver Sunday night. A total of 17.9 DKFP off of a touchdown and five receptions was an excellent start to his 2018 campaign, but he still is competing for attention with Davante Adams ($6,800) and Randall Cobb ($4,600), as well as Jimmy Graham ($4,800). 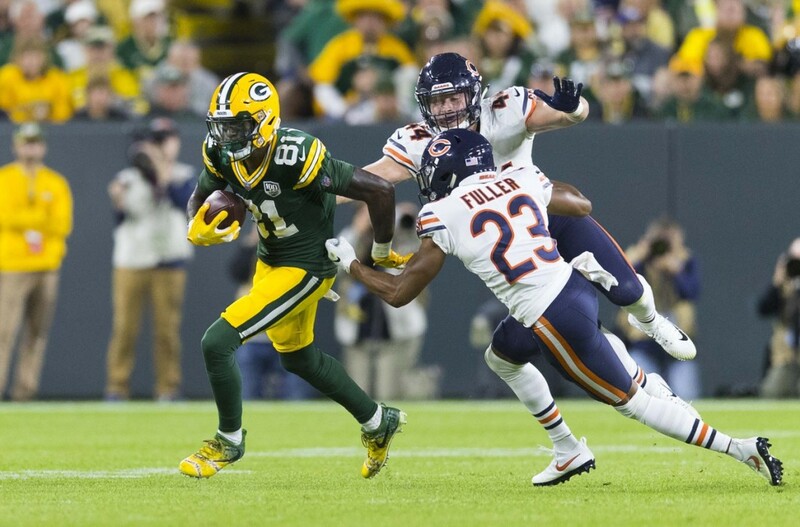 There’s reason to be optimistic about Allison’s usage going forward, as he tied Adams in targets with eight and trailed only Cobb, who had 10 in the victory over the Bears. Minnesota’s nasty pass defense will be a challenge; however, the big-bodied third-year pro should draw a more favorable DB assignment since he is a WR3. Usually a handcuff running back to a stud like Melvin Gordon ($7,400) only would be a useful play in a DraftKings lineup if the starter is injured. However, the Chargers’ juicy Sunday afternoon tilt against the horrendous Bills allows for an exception when it comes to Ekeler. Buffalo was dismantled by an average Ravens offense that’s nowhere near as dangerous as Los Angeles. This one has the makings of a blowout, and that could mean some second-half rest for Gordon and extra work for Ekeler. The second-year pro also delivered terrific Week 1 production as a pass catcher (five receptions, one touchdown) while averaging 7.8 yards-per-carry on five handoffs. 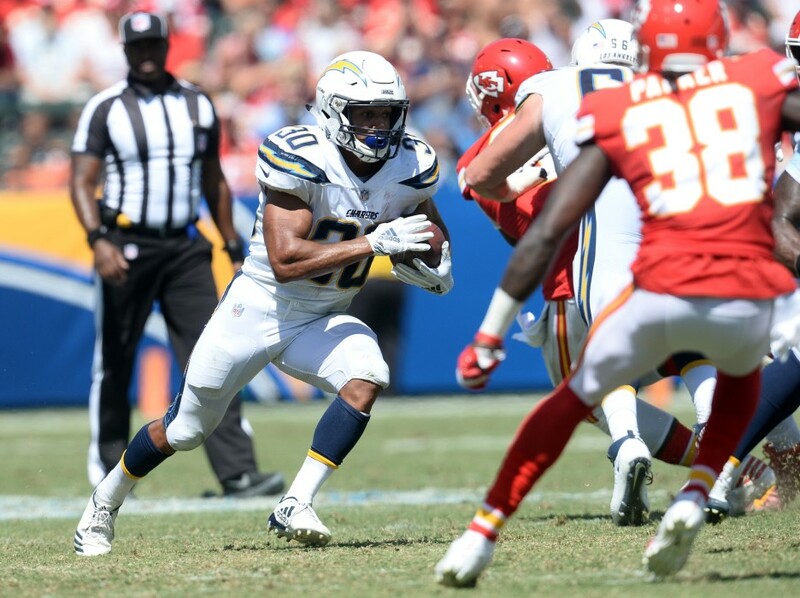 A good salary alongside a terrific upside matchup equals a smart Flex roster spot for Ekeler. You’d think Carolina would want to get some quality production sooner rather than later out of its 2018 24th-overall draft pick. It wasn’t in the season opener, where Moore rushed only once and returned a single punt. The freshman wideout is being eased into the big leagues, but Olsen missing significant time with a foot injury could change that plan. The Panthers’ next man up tight end in Olsen’s absence is fourth-round rookie Ian Thomas ($2,900), who was considered an unfinished product coming into the draft. Take away a top target, and Moore should get more looks than his third or fourth wide receiver status on the depth chart would suggest. 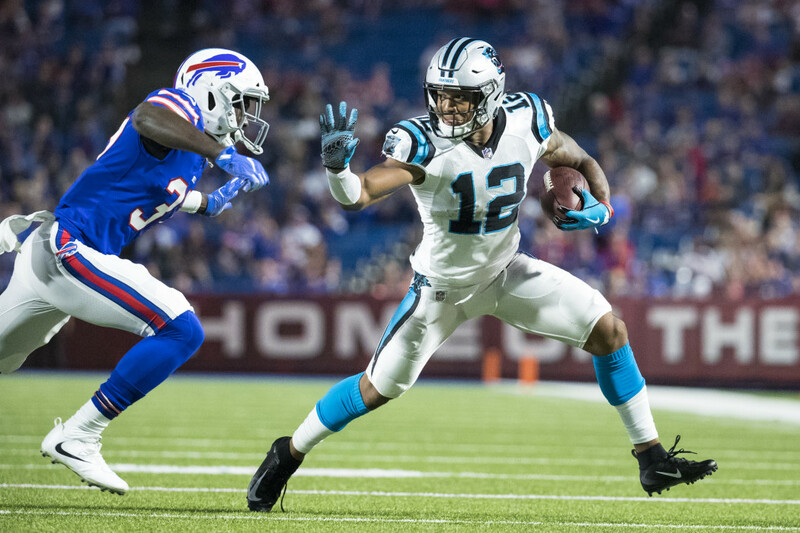 The speedy 6-foot, 210-pound WR can be valuable to Cam Newton ($6,600), as he can be slid inside or outside and is a crisp route runner with quick feet that can avoid first contact. If Moore can get involved early in the upcoming matchup against the Falcons, there’s no reason why he can’t garner a portion of Olsen’s share of quarterback attention after Devin Funchess ($4,700) and Christian McCaffrey ($7,000).